Albumen photographs and printing techniques. Beginnings of photography, significant photographers, processes, styles and movements in photography (from Robert Leggat). History in Pictures, a Twitter gallery. A searchable image & photograph database. Several thousand images available online. The Hulton Picture Gallery. Metropolitan Museum of Art, New York, photography collection. Middle Eastern photography from The Arab Image Foundation. The Arab Image Foundation is a non-profit organisation established in Beirut in 1997 to preserve and study photographs from the Middle East, North Africa and the Arab diaspora. The history of photography from the early years to the photography from the 1950s. International Center of Photography (ICP), New York. Exhibitions, archives. Articles on early Far-Eastern photography. Photographs of every building in key districts of central Tokyo, street by street. Old Japan is UK-based and was established in 1982. Since that time, they have been buying and selling 19th Century photographs of Japan (inc. Meiji & Bakumatsu era), China and Korea. Photography news, exhibitions, photographers, dealers in Japan. Photo Japan. Stock images from Japan. A web index of photographic archives and libraries. The Alinari Photographic Museum and Archive, Florence, Italy. A major online photographic image catalogue. From the world oldest photographic workshop, millions of images narrate the world of yesterday and the life of today. Established in Florence in 1852, Fratelli Alinari is the world’s oldest photographic firm. Thousands of archived photographs. Portraits, landscapes. American Museum of Photography. Online exhibits. 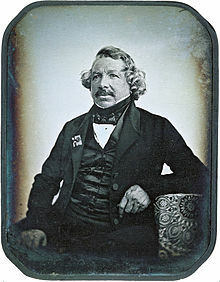 Classic photographs, daguerreotypes and historical photographs. British Association of Picture Libraries and Agencies (BAPLA). Image search of architecture arts & entertainment, celebrities, documentary, history, people, science, technology, sport and travel. British Library collection of Victorian photographs. Early photographically illustrated books. Take a look at Victorian Britain as captured in almost 1,500 early photographic prints, including works by distinguished pioneers of the medium. The Burns Archive. The 700,000 plus vintage photographs. Corbis Images provides commercial and editorial photography and illustrations. Browse the American Memory Historical Collections from the Library of Congress. Picturing the Century: One Hundred Years of Photography from the National Archives,” commemorates the end of the 20th century with a selection of photographs from the vast and varied holdings of the National Archives and Records Administration (NARA). National Portrait Gallery Photographic Collection U.K. The Photography Collection contains nearly 300,000 original photographic prints. The international online platform and online fold-out book displaying the work of master photographers, present and past. A consortium of libraries, archives, museums, record offices and national bodies who hold significant photographic collections representing London topography, people, architecture, archaeology and landscape. Smithsonian Museum on Flickr photostream. The largest of its kind in the world, this collection comprises some 200,000 photographs related to the Holocaust. The online archive currently comprises 130,000 historical photos. Tweets about "history of photography"